The Donkey Mill Art Center will hold its 11th Annual Art Auction at BMW of Hawaii in Kailua-Kona on Saturday, February 24, 2018, from 5:00 to 8:00 p.m. This curated auction provides a rare opportunity for art enthusiasts and patrons to purchase from a range of work by renowned artists while enjoying a black-tie optional party in the car dealer’s showroom. The Annual Art Auction draws contributions from local and national artists who want to support the community art center and its work to provide art experiences and opportunities for the people of West Hawaii and their visitors. Pieces by more than 50 artists, ranging in value from $100 to $10,000, will be represented in this year’s silent and live auctions in an effort to raise resources for the non-profit organization. Among the anticipated works available at this year’s auction will be pieces by painter Lynn Capell, fine art prints by Bud Shark Ink, ceramicist David Kuraoka, ceramicist Richard Notkin, printmaker and painter Mayumi Oda, and ceramicist Esther Shimazu. A digital catalog will be available to ticketholders in advance of the event, and patrons who are unable to attend may opt to bid remotely. 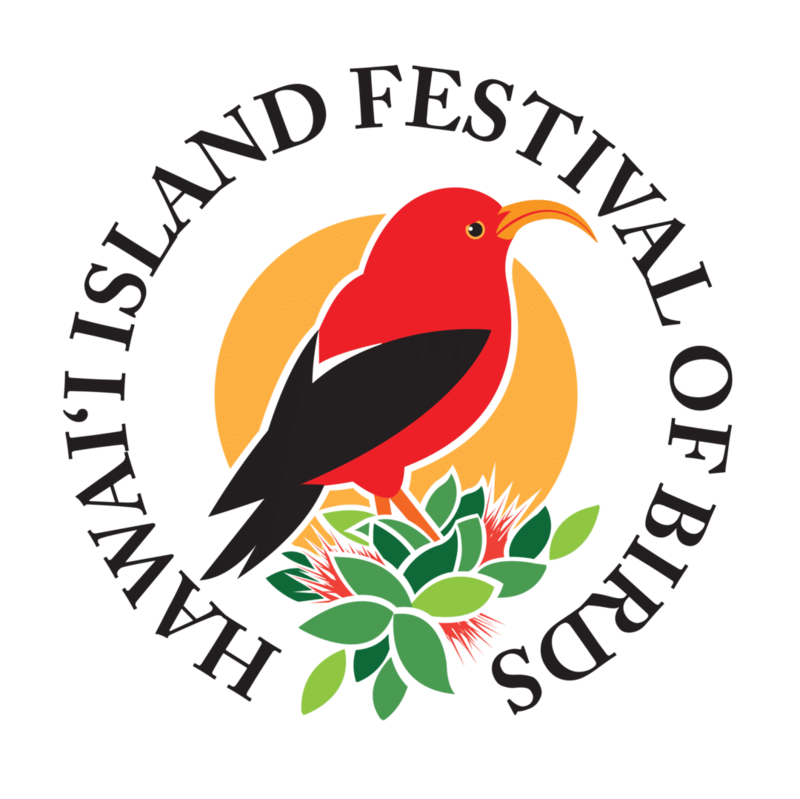 The Big Island’s premier holiday extravaganza. “Christmas with the Chefs” at Kamakahonu Bay takes place overlooking the twinkling lights of Kailua Village and the slopes of Hualalai, “Christmas with the Chefs” will sprawl on the hotel’s historic, seaside lu’au grounds. The setting sun will kick off the event from 5:30-8 p.m. 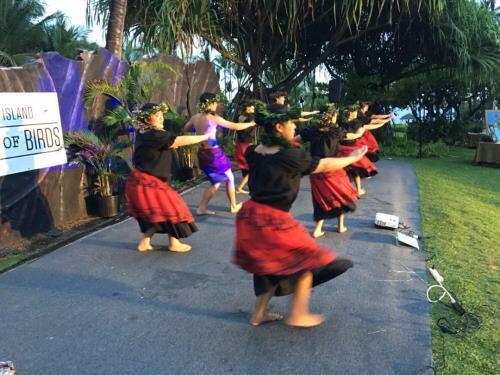 Most recently called Christmas at the Fairmont and Christmas at Kona Village, the festive holiday gala was held at King Kamehameha’s Kona Beach Hotel in 1994. The fundraiser benefits local culinary students attending HawCC in Kona, the “Equip the Kitchens” campaign for the future HawCC-Palamanui and members of the Kona Kohala Chefs who want to further their education. Twenty top Hawai’i chefs and confectioners will use primarily locally sourced ingredients to prepare tantalizing cuisine with a holiday twistall accompanied by handcrafted ales, wines and 100 percent Kona coffee. Attendees can enjoy live music and dancing under the stars, plus an exciting silent auction. The ACF Kona Kohala Chefs Association members are industry leaders committed to culinary enrichments through professional development and education in our community.The American Culinary Federation, founded in 1929, is the largest professional, not for profit organization for Chefs and Cooks in the United States. ACF membership provides opportunities for professional development, career building, and networking. More that 20,000 culinarians and food service professionals have joined the ACF for information, education, inspiration, and prestige. Our Island Chapter was started in 1980 with twelve members. Today, there are more than fifty chapter members, plus a College Junior Chef Chapter and a High School Junior Chef Chapter.This group of food service professionals, vendors, and growers attend a monthly meeting on the first Wednesday of the month, from 11:30 am to 1:30 pm. The meetings are held at various restaurants and hotels in West Hawaii. 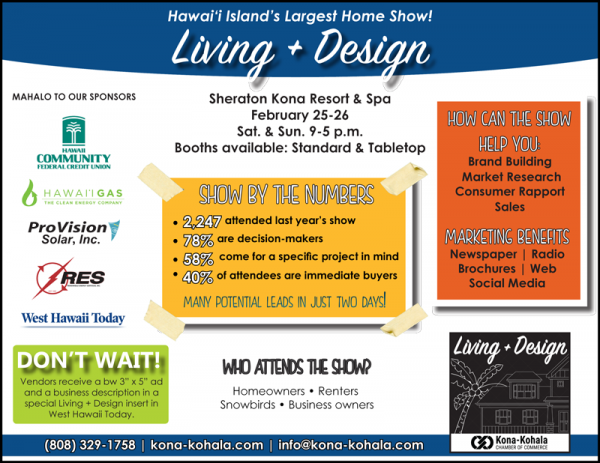 We invite you to attend our next meeting and join our Kona-Kohala Chapter. The Big Island of Hawaii offers many culinary events throughout the year. Our chapter holds two fundraising events. The premier Christmas event is in its 28th year and assists with scholarships for our members and student culinarians. Our second benefit is “Culinary Arts Under the Stars” held at the Kings’ Shops. This benefit is directed towards the culinary program at Hawai`i Community College-Palamanui (through our endowment). Some proceeds from the silent auction benefit our ACF Chef and Child Foundation Program: a philanthropic arm of the ACF. Keiki of all ages are invited to Touch a Truck at Kona Commons on August 12 from 10 am to 12 noon! Explore big trucks and meet the people who operate them! Trucks include emergency vehicles, construction trucks, tow trucks and more! Touch a Truck offers kids a hands-on opportunity to explore working trucks of all types. Children of all ages are invited to creatively explore the trucks with guidance from the professionals who use the trucks. Meet the people who build, protect and serve on the Big Island. Bring the family to Touch a Truck and enjoy free keiki activities, a waterslide and prize giveaways. Event presented by Kuleana Education. On Wednesday, June 28 KHS’ Museum Curator Mina Elison and KHS’ Asst. Program Director Gavin Miculka will share stories and photos from “The Kona Coffee Story: Along the Mamalahoa Highway”, an exhibit at KHS’ H.N. Greenwell Store Museum that tells the rich history of coffee in Kona through the eyes of families and farmers who built the lucrative industry. With the introduction of coffee to Kona in 1828, the development of Kona’s world-famous coffee industry experienced its highs and lows. 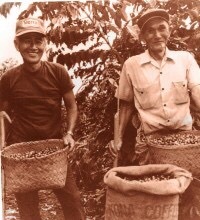 Voices of hard working coffee farmers and community leaders can be heard through personal accounts, historic photographs and artifacts featured in this exhibit, all of which tell the compelling story of the early days of Kona coffee. This is the June portion of a community lecture series held at the West Hawai`i Civic Center every last Wednesday of the month from 5:30-7:00pm, that spotlights local and state speakers on a wide variety of cultural and historical subjects. Presented by Kona Historical Society, in cooperation with the County of Hawai’i, this lecture series is a gift from the Society to the community that has supported it for so long. Free of charge, it is open to all, residents and visitors alike.